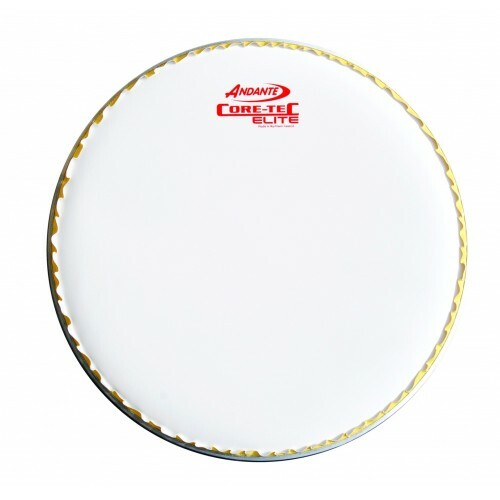 Using the very latest in head technology with a combination of innovative materials in an ultramodern white finish. The New Elite head offers the player intense durability, with a crisp, bright and clean snare response which is extremely easy to pitch. The development of the Elite head was in conjunction with many world renowned Top Grade 1 bands and Solo players, who selected Andante as their leading choice in marching percussion. Purchasing for your band? Send us an e-mail for invoicing options.